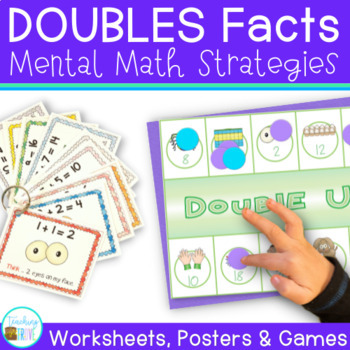 Doubles addition facts can be learned using a mental math strategy. 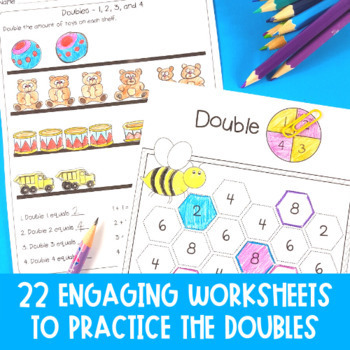 This pack contains 22 worksheets, doubles posters for each double to 20 and 3 games, all designed to teach and consolidate your student’s knowledge of their doubles facts. The final four worksheets consolidate all the doubles. Each doubles fact is represented on a separate page. 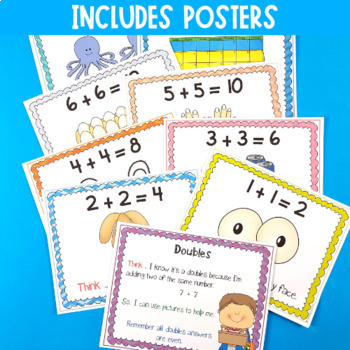 Also included is a single page black ink copy of the doubles facts and visual cues to be placed in the student’s math notebooks or homework books. Players take turns to move up the number frame and answer the doubles facts. 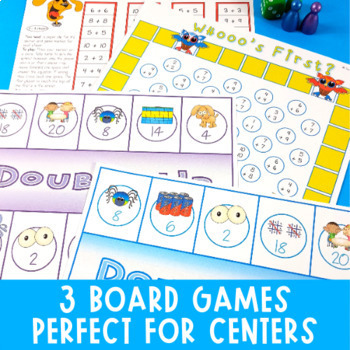 Players must give the answer to the doubles fact before they can move around the board game. Each player has their own game board. They must turn over card and match the doubles fact to the visual cue on their card.